At Olinde & Mercer, LLC, we are passionate advocates for clients' rights in civil court cases. Our lawyers provide attentive, personable representation, and we establish strong professional relationships with those we serve. We are strong trial advocates ready to take your case to court if it means obtaining a better outcome for your case. We work hard to meet the needs of employers across a wide range of businesses throughout Louisiana. Our main practice areas The attorneys of Olinde & Mercer have more than 40 years of collective experience practicing law and can put their knowledge to work for you. The majority of our law firm's practice focuses on: Labor and employment law, including civil rights violation claims, harassment in the workplace, and wage and labor disputes Emergency service organization representation, including the representation of police and fire departments Civil litigation, including construction and commercial litigation We also provide assistance with select other areas of practice. Honest, reliable service To ensure all our clients receive the attention they deserve directly from an attorney, we carefully screen prospective cases and only work with businesses or individuals we feel will benefit from our services. As professionals with extensive experience trying cases in all levels of state courts, we can walk you through each step of the process in clear layman's terms. We make informed decisions based on a careful evaluation of your needs and your current legal situation. We also help you prepare for the future by crafting strong arguments that will withstand intense scrutiny from opposing counsel. Schedule a complimentary consultation today Located near the Baton Rouge County Club, Olinde & Mercer, LLC is easily accessible should you need to discuss any questions or concerns regarding your case. Our law office offers free initial consultations, and we have evening and weekend hours available on an appointment-only basis. We serve clients throughout Louisiana, with a particular focus on the southern area of the state and the communities surrounding Baton Rouge, New Orleans, Lafayette and Lake Charles. Contact Olinde & Mercer online or at 225-240-7297 to speak to one of our attorneys. Louisiana lawyers defending employers' rights Disputes that arise in the labor and employment law arena can be complex and stressful as tensions run high between employees and employers. It is critical companies have easily accessible legal counsel available to answer questions and quickly deal with accusations of violating state or federal labor and employment laws. At Olinde & Mercer, LLC, we know that conflicts are inevitable in any dynamic business environment and are here to help you handle them. Our trial attorneys provide intelligent representation to employers in matters involving: -Civil rights -Employment discrimination -Non-competition and non-solicitation agreement violations -Title 7 violations -Fair Labor Standards Act (FLSA) violations -Hostile work environments -Wrongful termination -Wage and overtime claims -ADA (Americans with Disabilities Act) violations -Immunity -Sexual harassment -Employment contract breaches -Workplace safety We also put our knowledge of labor and employment law to use in cases involving emergency service organizations. Overcoming obstacles to obtain positive outcomes Every lawyer at Olinde & Mercer works hard to protect employers' best interests at all times. We have established lasting relationships with many businesses and corporations in Louisiana as a result of our diligent nature and ability to see cases through until their completion. While we strive to help you reach favorable resolutions in a timely manner, our attorneys do not hesitate to take cases to court if doing so results in a better outcome. Schedule a complimentary consultation today A Baton Rouge law firm, the attorneys of Olinde & Mercer, LLC have worked with a wide range of employers throughout Louisiana. Our law office offers free initial consultations, and we have evening and weekend hours available on an appointment-only basis to better suit our clients' needs. We frequently try cases in the southern area of the state, with a particular focus on the communities surrounding Baton Rouge, New Orleans, Lafayette and Lake Charles. 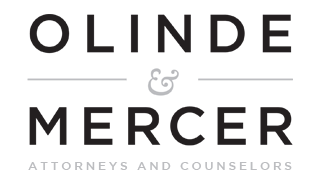 Contact Olinde & Mercer online or at 225-240-7297 to speak to one of our attorneys. Mr. Olinde is the co-author of Chapter 3: "State and Local Environmental Agencies" in the Louisiana Environmental Law Handbook, published in 2000 by the Lawyers Cooperative Publishing Company. He is also the author of "Federal Court Put Uniformity to Sleep on the Shelf" in The Maritime Lawyer, Vol XI, Fall 1986.